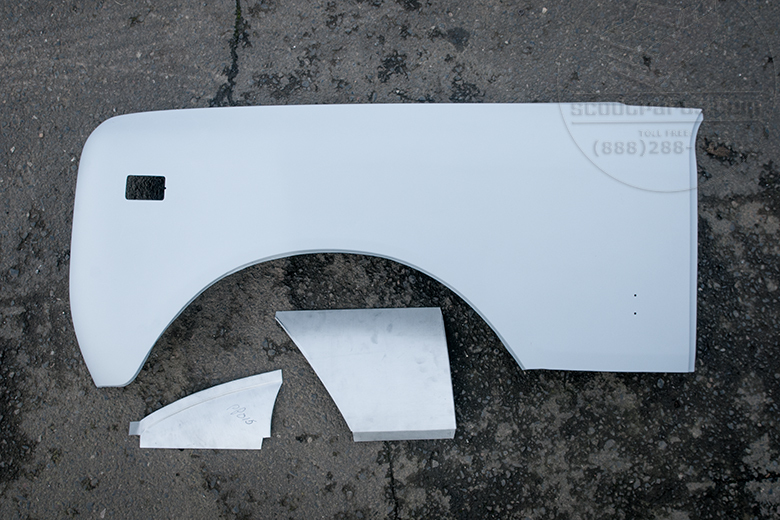 Scout II restored fender with lower front fender patch. Completely sanded, dents removed, lower section that consistently is a rust problem is cut off, bondo-ed, sanded smooth, and primed. Please specify If you want the inside of the fender primed or sprayed with rubberized under coating. If for some reason you want to return this item, No problem, but Scoutparts dose no pay return shipping.